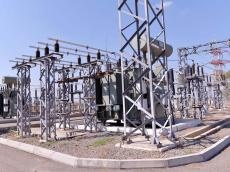 Uzbekistan created Ministry of Energy due to a number of systemic problems in the organization of state administration in energy field, Trend reports via the presidential decree. One of the tasks and powers of the new ministry are: development and implementation of a unified state policy in the fuel and energy sector; the implementation of state regulation of the production, transmission, distribution and consumption of electrical and thermal energy; implementation of a unified regulatory and technical regulation of the energy sector in the country. Moreover, the Ministry’s tasks also include: creating and developing a balanced system of strategic planning and development of the fuel and energy complex; coordination of investment projects in the fuel and energy industry; promoting the introduction of modern corporate governance practices in the energy sector; stimulation of introduction of innovative technologies into the production processes of organizations of the oil and gas and electric power industries; organization of systematic work on the training, advanced training and retraining of engineering and managerial personnel in the field of energy. Agency for the Development of Atomic Energy, the State Inspectorate for Control over the Use of Oil Products and Gas are transferred to the new ministry and transformed into the Inspectorate for Control of Use of Oil Products and Gas afterwards. Furthermore, the Ministry of Energy will include the State Inspectorate for Supervision in the Electric Power Industry with its subsequent transformation into the Inspectorate for Control in the Electric Power Industry.